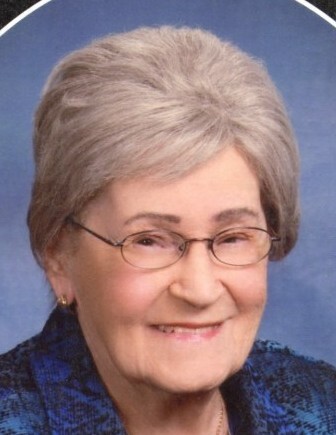 LaRayne Cecela Schorn, age 93, of Willmar, died Tuesday evening, April 9, at Bethesda Grand in Willmar. Mass of Christian Burial will be held at 11:00 am on Friday, April 26 at the Church of St. Mary in Willmar. Interment will be in the church cemetery. Visitation will be from 5-7 pm with a Daughters of Isabella Rosary at 7 pm on Thursday, April 25, at Peterson Brothers Funeral Home and visitation will continue for one hour prior to the service at the church on Friday. LaRayne Cecela Schorn was born October 28, 1925, in St. Paul, Minnesota, the daughter of Andrew and Carolyn (Elizabeth) Ruppert. She grew up in White Bear Lake and St. Paul and attended Catholic school and St. Cloud State for teachers training. She taught in rural schools in Woods Township in Chippewa County and later at St. Clara’s Catholic School in Clara City. On March 30, 1948, she married Vincent Schorn and they made their home on a farm near Kerkhoven. LaRayne owned and operated The Sewing Bee Fabric Store in the Skylark Mall. She was a talented seamstress and taught sewing classes. She was a past member of Sacred Heart Catholic Church in Raymond and St. Clara’s Catholic Church in Clara City, before joining the Church of St. Mary in Willmar. She was a member of the Fad of the Month Craft Club and collected thimbles. She enjoyed ceramics, knitting, crocheting, embroidery, and both vegetable and flower gardening. She also enjoyed music and played the organ. She is survived by five children: Thomas (and Arlene) Schorn of Canton, SD, Rebecca (and Larry) Ulrich of Avon, MN, Randy Schorn of Sioux Falls, SD, Laura (and Mark) Miller of Rockford, WA, and Joey Schorn of Brooklyn Center, MN; eleven grandchildren; twelve great-grandchildren; a brother-in-law: Robert; sisters-in-law: Regina (and Bob), Gladys, Janice, Lois, and Margaret; and other relatives and friends. She was preceded in death by her parents; her husband: Vincent in 2010; a sister: Rosie (and Ray); and a brother: Ralph. 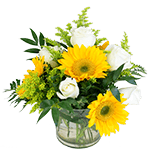 There's still time to send flowers to the Visitation at the Peterson Brothers Funeral Home from 5:00 PM to 7:00 PM on April 25, 2019.